The Wise Mullet is making his first ever trip to North Carolina. Author Timothy A. 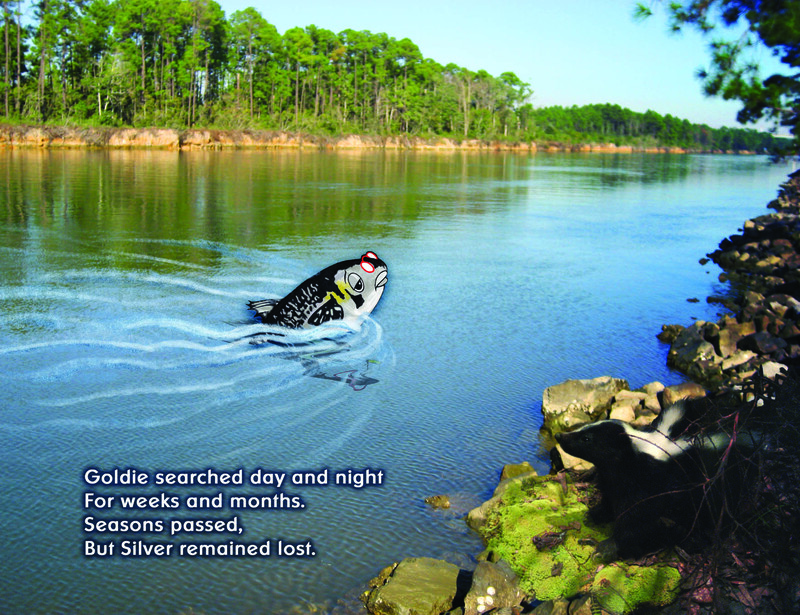 Weeks and illustrator Miss Jeanne will be sharing Goldie’s Search for Silver with over 2000 students at five schools in four days (April 20-23). The first stop is Kenansville Elementary on Tuesday, April 20, followed by Harrells Christian Academy on Wednesday. Thursday finds the Wise Mullet in Wilmington, stopping at St. Mark Catholic School for the morning and Saint Mary Catholic School in the afternoon. 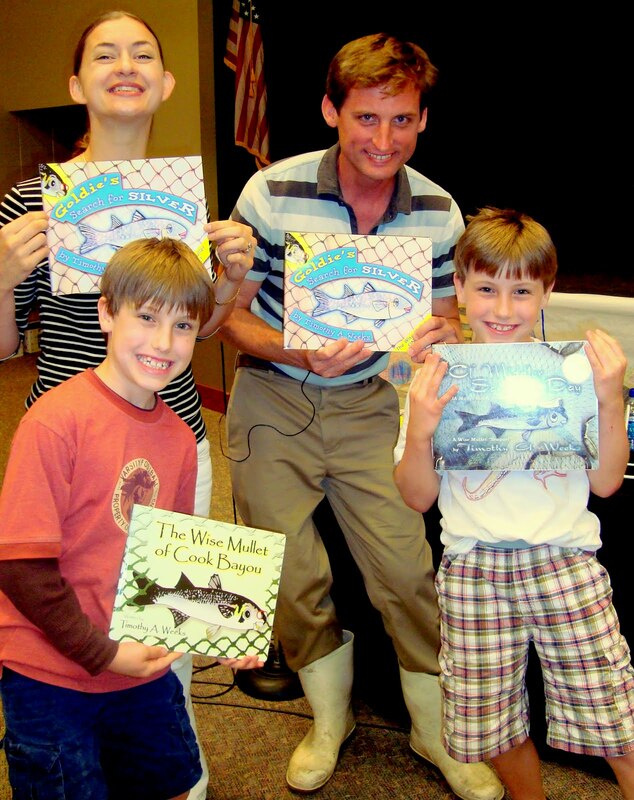 On Friday, students of Beulaville Elementary will experience the adventures of the Wise Mullet. Kristie Riviere of Donaldsonville Primary in Louisiana and Marsha Lewis of Kenansville Elementary in North Carolina are the winners of the free half-day author visit with children’s author Timothy A. Weeks. Visit us November 29th and 30th at the 24th Southeast IRA Regional Conference at the Hilton New Orleans Riverside. After dodging alligators, escaping cast nets, surviving hurricanes, losing buddies & finding friends, the Wise Mullet learns that Pretty Bayou is not a destination, but a state of mind. What makes the Wise Mullet books special? Our combination of classic storytelling and visual delight. These fish tales have loads of adventure and action, which children like, and lessons that parents, teachers and grandparents approve of. Children revel at our “mullet montage” illustrations and are fascinated by how artist Lala Rascic blends the author’s photos with the quaint fish characters painted by his mother, Miss Jeanne. Together these make the Wise Mullet books a unique celebration of nature and Gulf Coast heritage.